When Marilyn told me her primary wedding color was 'blush' with pink, gold and ivory accents I was on her team! I am loving the soft, romantic color palettes that focus on the 'who' and 'why'. Brent is a Texas High School football coach, Marilyn is a professional photographer so when these two started planning a wedding every detail mattered. And the first detail was saying 'I Do' before football season. If you aren't from Texas you just won't understand. You have to live Texas High School Football. Right Brent? Marilyn is super busy with her own career and our contact consisted of text messages and email. Marilyn used a zillion ways to incorporate her blush wedding reception inspiration color theme into her celebration. 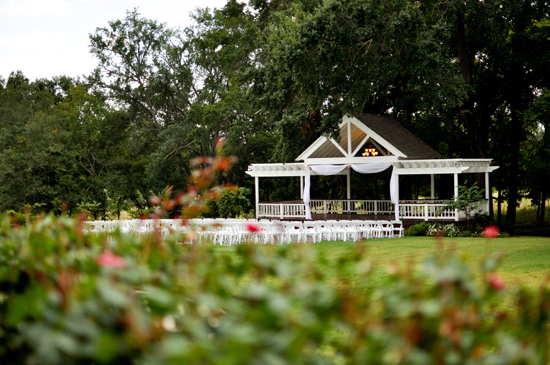 She and Brent married at Bella Sera, a gorgeous venue in the Piney Woods of Palestine Texas. My challenge was styling her cake table, and details for the mantle that would be the back ground for the wedding party table as well as the ceremony draping. Immediately I knew with a venue as beautiful as Bella Sera my task was to keep things simple, elegant and focus on her style. We incorporated the blush wedding reception colors into the cake table and centerpieces. 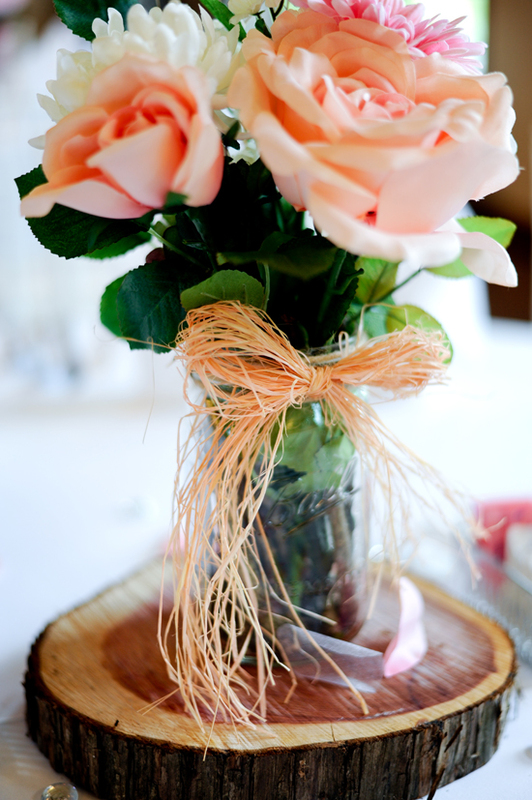 Marilyn made her bouquet and with the help her brides maids' she also made her centerpieces! 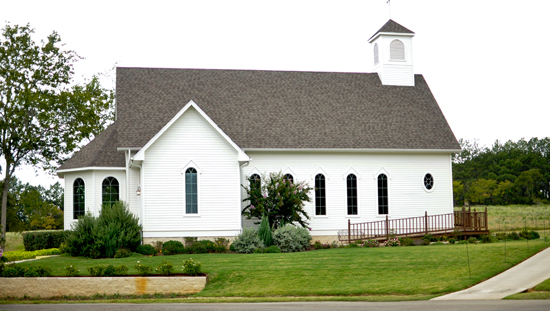 Bella Sera Ranch offers both an indoor chapel and an outdoor Pavilion for wedding ceremonies. Marilyn and Brent chose the outdoor pavilion. 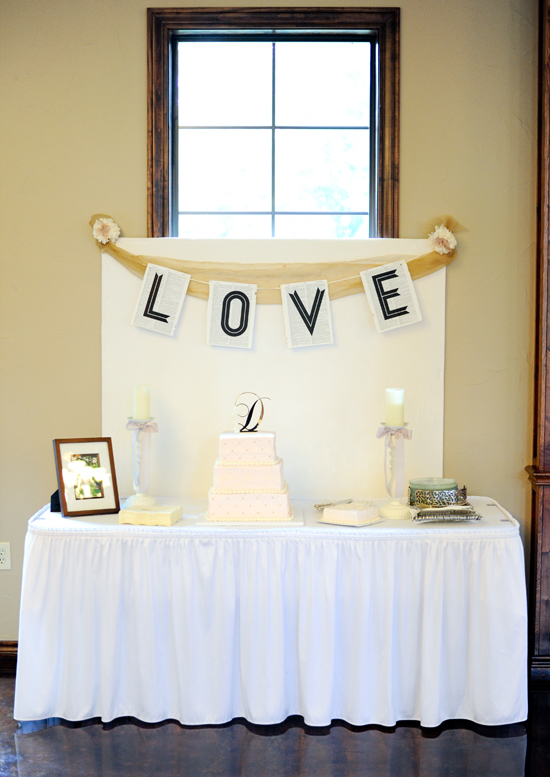 Prairie Sage used soft white cotton lawn for draping and tulle poms for color detail.